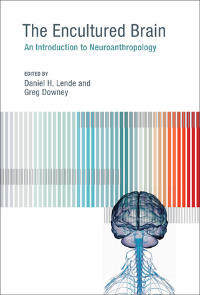 You may be tired of seeing the prefix "neuro" used to describe every new fad, but The Encultured Brain: An Introduction to Neuroanthropology  edited by Daniel H. Lende and Greg Downey makes an impassioned argument for why neuroscience and anthropology should be working together to unravel the ongoing mystery of how our brains make us who we are. The latest Brain Science Podcast (BSP 97) is a thought-provoking conversation with Downey and Lende. After explaining that anthropology can offer neuroscience field data about "brains in the wild," we explore two case studies that demonstrate the promise of this new partnership. Buy audio mp3 for $2. Subscribe to the Brain Science Podcast or listen on the BSP Mobile app. *Please see the FREE transcript for additional references. he Brain Science Podcast is nearing episode 100! I want to include listener comments. Send your emails and mp3 files to brainsciencepodcast@gmail.com or click here to learn more. The Brain Science Podcast Newsletter has moved to Mailchimp. Click here for the new sign-up form. Please nominate the Brain Science Podcast as one of the best science podcasts on the web at http://www.thesciencestudio.org. Keep an eye out for the latest BSP News!